The Abu Dhabi Department of Transport, in collaboration with the Environment Agency Abu Dhabi, is undertaking a pilot project to paint asphalt on roads, pavements and parking lots in light-grey, in a bid to reduce heat from the surface. While we await data to arrive from the project site to endorse the efficacy, or otherwise, of the initiative, credit ought to be given for the thinking that went into it. The heat generated in urban areas is enormous, and scientists the world over are calling for climate-sensitive design principles not only with regard to individual buildings but also entire cities. There is conclusive evidence to suggest that the replacing of natural surfaces with three-dimensional structures made of concrete has a direct effect on surface and air temperatures. The urban heat island (UHI) effect is a reality, and relatively recent research in Singapore suggests that it is threatening to raise temperatures beyond the threshold of human adaptability in our cities – an alarming fact in itself. Sadly, there is no disconnect between outdoor temperature and indoor temperature, which is compelling us to increase air conditioning usage and, consequently, more energy, which in turn, is increasing the emission of greenhouse gases, given that much of the energy is produced by burning fossil fuels. Greater surface and air temperatures in urban places is a matter of deep concern for the Middle East and North Africa (MENA) region, considering the fact that more than 226 million people will be living in cities in the region by 2020, according to a UN estimate. 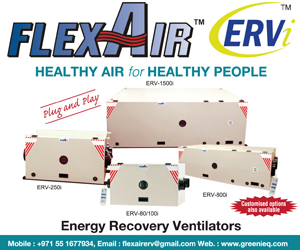 In the GCC region alone, according to the same UN estimate, over 45 million people – 85% of the total expected population – are expected to reside in its cities by 2020, which mean exponential growth in the use of air conditioning and, consequently, the use of fossil fuel-generated energy, unless of course clean forms of renewable energy can alleviate the situation in a reliable and effective manner. 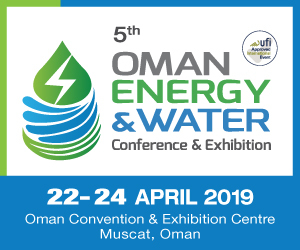 And unless of course the HVACR industry is able to address the need for reducing the energy demand through innovative and even disruptive technologies, backed by support from such bodies as Abu Dhabi Department of Transport and the Environment Agency Abu Dhabi. 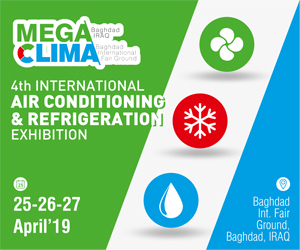 The region needs holistic solutions and an integrated approach towards mitigating climate change, be it through climate-sensitive design principles or through the proper installation and operation of HVACR equipment. Time and options are running out in the fight against global warming. Silos and blinkers have no place in the modern paradigm.